I’m on a very cool project with the Chicago Community Trust to figure out whether (and if so, how) to create an ad network to support local online news outlets around Chicago. One reason I’m posting that list is to find others, if there are any. But check them out if you’re at all interested in independent news blogs. Each has some very interesting things going on. And I’m really interested in talking with local news bloggers who are selling (or at least accepting) local advertising, and how they’d want to work with a network of others in their area. Shoot me an email at joe-at-joemichaud.com or post a comment here. This is an incredible development: Facebook now has 23 percent share of the total impressions for online display ads. 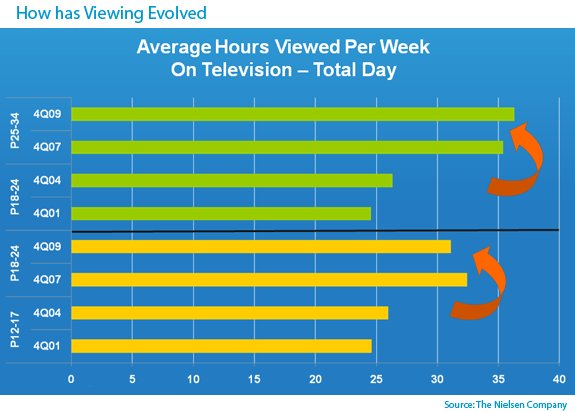 Check out the chart below from comScore. More details here. What’s incredible is that literally just two years ago, people in the industry were arguing whether it even made sense to put ads on Facebook. Now Facebook is by far the largest single deliverer of display ad impressions online. I have to admit, speaking from my own experience, I considered Facebook ads a waste of money when mapping out the launch program for Concert Rat earlier this year. Who wants to see ads on Facebook?, I reasoned. So the initial marketing plan involved Google text ads (search and content) and some programs to get the Concert Rat brand into people’s hands – such as handing out flyers at concerts. But none of these paid efforts seemed to get results – i.e. people posting stuff on Concert Rat.com. On the other hand, our “free” marketing efforts on the Concert Rat fan page on Facebook seemed to be generating results. So on June 24, mostly to support the fan-page activity, I finally created and started running Facebook ads. Guess what: New postings started appearing on Concert Rat immediately. Literally — immediately. And the pattern continues. Facebook is now Concert Rat’s No. 1 source of traffic. Before the ads, most traffic came from Google. And the traffic seems to convert to people posting stuff. 1. Concert Rat is about sharing stuff, and Facebook is about sharing stuff, so if you’re on Facebook, your mindset is about sharing. Thus the connection is more direct. 2. Facebook ads allow extremely fine targeting by interests. All those interests you put on your profile? Those become the targeting filters for Concert Rat’s Facebook ad delivery. It’s a pretty amazing system. The Concert Rat ads target people who say they like: concerts, live music and “going to concerts.” Also we’ve selected people 16 years of age and older, who live in the U.S. If those criteria look like you, then there’s a good chance you’ll see the Concert Rat ads. If that’s not you, you won’t see the ad. Put those two factors together – the transactional nature of both Concert Rat and Facebook, and the extreme targeting – and it starts explaining our results. And it might explain the amazing market share of Facebook Ads today. Great roundup of “10 lessons” from the ONA conference last week by Pekka Pekkala . Mike Orren, Pegasusnews.com publisher, reminded that advertisers don’t care how big you are if they don’t know you. It takes a long time to build a brand in advertising community and it matters, because ad buying decisions are not made rationally. Read J-Lab report New Voices: What Works and learn how much work it requires to keep the contributors active. Less than 1 in 10 of those you train will stick around to be regular contributors. Founder Susan Mernit from Oakland Local said that they thought people would read normal feature-like news stories. It turned out that the really simple stories about a new coffee shop or the heavy, investigative pieces were the most read. So they stopped doing features. and stick it on your refrigerator. Hard to tell if the irony is intentional or not, but the Artist Currently Known as Prince has declared the Internet fad pretty much over. For good measure, he’s providing copies of his new CD in several British newspapers (the paper version, naturally). One of the papers not invited to the party, the Globe and Mail, provides an appropriately snarky report. Reminds me of a mini-trend maybe 10 years ago, when some newspapers decided the best strategy for meeting the challenge of the Internet was to provide each day’s paper on a shiny new CD-ROM. Maybe get newspaper readers to just pop in a disk and ignore that Internet thing. Prince (and newspapers) are certainly free to dictate how and when people can consume their output. But as they say: it’s wiser to fish where the fish are. People interested in news and music are online. Certainly fans of a particular newspaper, or a particular musical artist, will go out of their way to feed their passion…. But what about all the other fish? Nielsen has a new report on teen TV watching, and I’m not sure I agree with one of the findings. Nielsen finds teens are watching a lot more video on laptops and phones, than regular TV (aka the “first screen”). While the research about the past seems solid, I have to wonder about the prediction for the future. As people’s attention spans grow shorter, and as they get more habitual in their usage of portable tablets, laptops and phones — doesn’t it seem like a whole lot more is changing than just age? It seems to me we’re seeing a fundamental shift in media consumption, one that defies comparisons to behaviors of only a few years ago. In the chart above, the starting year is 2001. 2001! Facebook didn’t exist. Google was just one of several popular search engines. There was no YouTube. What’s startling isn’t just the huge leaps in technology, but the dramatic changes in how people spend their time: YouTubing, Googling, Facebooking. If you spend any time at all with teens and 20-somethings, try picturing them in 10 years vegging on the couch with the remote. I can’t. What to cut? Or where to focus? Robert Niles posted a provocative piece today called What to cut when ad revenue doesn’t cover your expenses? His main point is that some editors are looking at user-generated content as a way to substitute for, in his example, a movie reviewer. And of course, Niles is correct that the “community” by itself is a poor substitute for a trained beat writer. Too often, the “community” isn’t self-policing, or even self-correcting, and it needs some professional guidance and moderation. But the larger, and harder, question is: in times of reduced revenue, where should newspapers focus their skilled, trained staff? Pick up any local newspaper and you’ll see example after example of mystifying choices in coverage by local staff: pro sports in a distant city, columnizing about national issues, press conferences covered just because, press releases spun into bylined stories. Editors’ hardest questions come after the relatively easy ones of movie reviews and CD reviews. Are we covering the community in ways that meet readers’ interests? What criteria drive daily coverage decisions? And who’s making those decisions? Why is this event being covered? Why do we assign a reporter to this beat? Do we even have the right beats? Is every reporter contributing high-impact coverage to page 1 and section fronts? If not, what’s standing in the way? Point is: when you can’t sustain business as usual, everything must justify itself, from the movie reviewer to the courthouse beat. Editors need to shape a vision of the new newspaper, encourage information-gathering to make decisions, and then support decisions that move toward the vision.